Prepare for the game adventure of a lifetime as you once again assume the identity of Agent #5 of the Temporal Security Agency. Falsely accused of altering Earth history, you are forced to walk the shadows of time, unearthing clues and escaping mortal danger while seeking crucial evidence that could clear your name and reveal the true identity of the conspirators who've framed you! 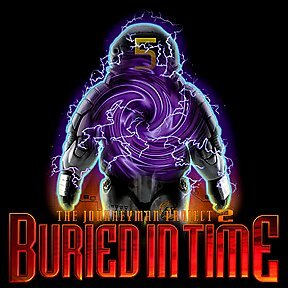 Buried in Time's 3 CD-ROMs contain hour-upon-hour of engrossing gameplay, breathtaking full-motion 3D settings, seamlessly integrated live-action video, challenging puzzles, and an incredible soundtrack. Support for Mac OS X coming soon!